Radiotherapy means the administration of radiation, typically x-rays, to achieve a medical benefit. In the veterinary world this is almost entirely restricted to the use of radiation in the management of cancerous lesions. Radiotherapy is believed to work by causing modest amounts of damage to the tiny proteins and DNA molecules inside living cells. Normal living tissues can tolerate a certain amount of this damage; indeed we need a certain amount of radiation from the sun, for instance, in order to be healthy. While cancer may be effective at growing, many cancers are not very good at tolerating radiation which is why radiation seems to preferentially damage the cancerous cells. It is also important to say, however, that some damage inevitably happens to the non-cancerous cells and following radiotherapy, there is often evidence of changes to the skin making it look older in the treated field and potentially making it more susceptible to subsequent injury. 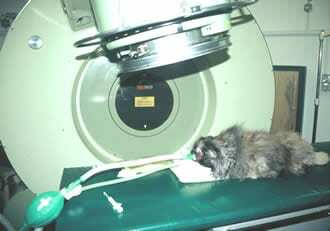 There are numerous different radiotherapy protocols described for use in veterinary oncology. The principal differences between them are the amount of radiation per dose and the frequency with which the doses are given. Unlike human radiotherapy, our patients will not lie motionless for five minutes without some form of chemical intervention, sedation or general anaesthesia. Therefore, it is also important to consider the patient’s general health as well as their cancer problem. In our hospital we aim to use radiotherapy only in cases where we feel that the benefits of therapy outweigh the potential costs. This means that we specifically target tumour types and particular situations with which we are confident that we will achieve a beneficial response. Some side effects from radiotherapy are considered tolerable and as such it is accepted that most cases will experience some fur loss in the area that receives treatment and the skin may lose elasticity and develop extra pigmentation. These are simply cosmetic effects of which the patient has no awareness. However, despite our efforts to reduce their incidence, other more troubling side effects do occur. These include dermatitis, resembling sunburn, which can last up to two weeks in severe cases. This happens in the immediate post-treatment period to approximately 5% of cases. Late side effects can also occur months or years after therapy. These include the development of non-healing wounds (5%), pathological fracture (1%) and even new tumours in the irradiated site (<1%). For these reasons cases are selected carefully for radiotherapy and while these problems are clearly unusual, they must be considered fully in any treatment decision making process. Radiotherapy is almost always a localised therapy. Therefore, tumours that we treat need to likewise be relatively localised. Tumour types that are particularly sensitive include mast cell tumours, squamous cell carcinoma of the dog’s mouth or the cat’s nose, meningioma (a certain type of brain tumour), thyroid tumours and sometimes, histiocytic sarcoma. Cancers of the white blood cells (lymphoma, plasmacytoma) are also sensitive to radiotherapy. However, they are usually responsive to chemotherapy and since they are often multifocal, chemotherapy is usually more appropriate. Sometimes the combination of surgery and radiation can achieve much more than either treatment type alone. The use of radiation after surgery is called adjuvant radiotherapy. This is applied in particular to sarcomas (spindle cell sarcoma, haemangiopericytoma, soft tissue sarcoma) and to mast cell tumours, after presumed incomplete surgical removal, whether that incomplete removal was anticipated or otherwise. In many instances, the choice of therapy is defined by the fact that the alternatives would be less effective or simply anatomically impossible. Under these circumstances, the aim of therapy is to alleviate the clinical signs associated with the disease to restore a normal quality of life with minimal risk to the patient. Thus palliative radiotherapy is used in the management of brain tumours, nasal tumours, oral melanoma, some inoperable soft tissue sarcomas and to relieve pain in primary bone tumours (osteosarcoma). 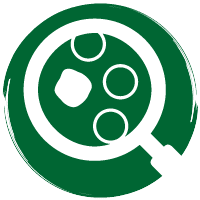 Our radiotherapy protocols are conducted by the oncologists and other staff from Davies Veterinary Specialists, using the radiotherapy facilities at Cambridge University Veterinary School. For reasons of reduced risk of radiation induced side effects and reduced frequency of sedation or anaesthesia, we administer our radiotherapy as a course of four treatments on a once a week basis. After an initial appointment at Davies Veterinary Specialists with one of the oncologists, owners meet our oncology team again in Cambridge on Tuesday afternoons. Dogs receive their radiation under general anaesthesia; cats receive theirs under sedation. The duration of the whole treatment episode, including anaesthesia/sedation induction and recovery, is typically only 25-35 minutes! Sometimes owners are concerned that a pet who has received radiotherapy may need to be isolated after treatment in case of risk of the radiation affecting other parties. With the type of radiation that we use, this is not the case. In a sense it is not dissimilar to turning the light on and off: once the radiation beam is switched off, it is gone and poses no risk to anyone or anything else. 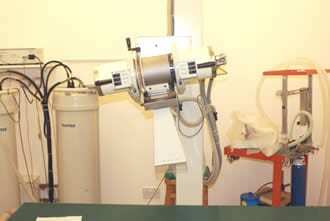 Radiotherapy in our hands does not induce other signs of illness such as vomiting, diarrhoea or general tiredness. Nor is it painful to receive radiotherapy, in fact the patient wouldn’t feel it any more than they would a beam of torchlight! These are recognised effects of more intense radiotherapy protocols such as those used in human radiotherapy and avoidance of these problems is one of the reasons behind choosing our once-weekly treatment plan. If you think radiotherapy might be appropriate for your pet, ask your local veterinary surgeon; they can then discuss the case with one of our oncology team.